A very good friend of mine is professional gardener, and as I embark on my journey to reconnect with nature – he has aided in my venture into horticulture and husbandry. I started with an herb garden, and now that it is warmer I have started my floral cultivation. He started to bring up a variety of edible flowers. I had no idea there were so many different types. A week later, I received a beautiful bouquet that contained a few roses and I decided to enjoy some fresh rose water. Of all the edible flowers he named, roses were my favorite and I was excited to try my favorite scent as a liquid libation. I added a few sprigs of fresh peppermint, and sat it in the sun while I worked out. When I drank the mintrosewater I was immediately washed with a feeling of peaceful introspection. It tasted almost like a tea, even though it was cold I felt the urge to sip it slowly and found it to be calming. The more of this mintrosewater I drank, the clearer my intuition became. A sense of positive equinamity permeated my being, and I thought to myself – I need to do some research. Well, indeed it known around the world that rose oil (and rose water) has a myriad of healing properties. Its wonderful for your body, inside and out. Rose Oil is made by the pressing of a huge number of roses, and is also known to have artificial ingredients added for preservation. I suggest you do it the natural way. Its quick, cheap and easy. One rose goes a LONG way! For my two gallon jug I used 3 roses which was more than enough. You can add a sprinkle of sugar if you like, not for taste but because cut flowers last longer with a little sugar in the water. I added peppermint, however there are a number of other herbs and spices you can add to your rosewater to make it the best essential water for your body (ex. cinnamon stick, honeysuckle, spearmint, basil etc). 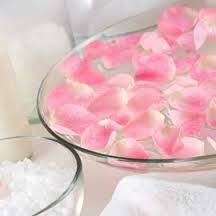 Rose water is used to treat skin infections including dry scaly skin, oily skin, skin inflammation, dermatitis and eczema. 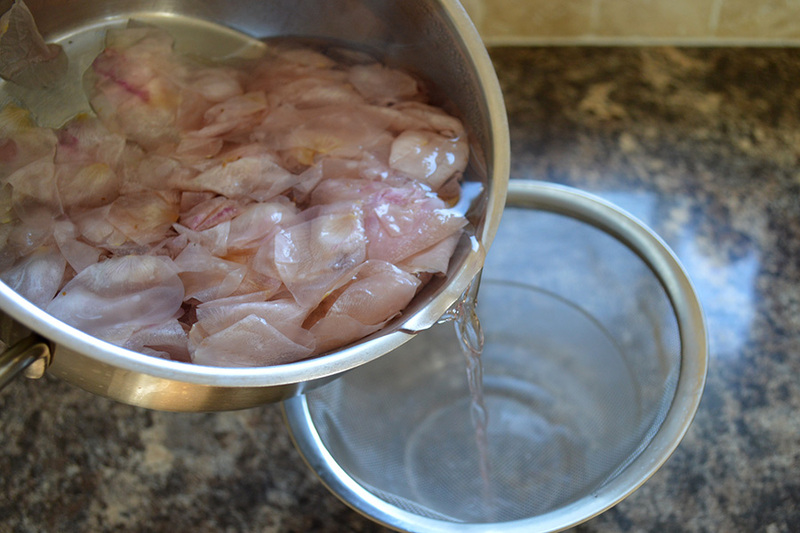 Rose water is also a healing agent, and can be used in treating wounds. For sunburns, rose water can be gently rubbed over the affected area or when taking a bath, add a few drops and relax while the magic takes effect. When going on a safari or camping in a tropical area, it’s sure to be infested with mosquitoes. Rose water can be applied over insect bites like mosquito bites that easily stop the itchy feeling, reduce the inflammation and cool the area. 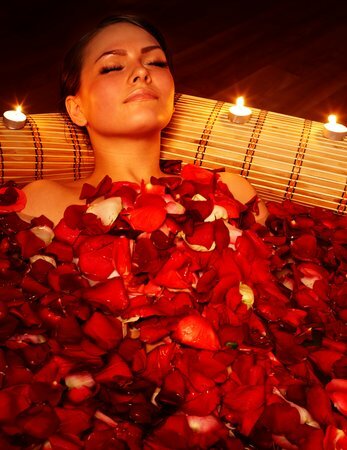 Rose water is also an astringent which reduces redness or inflammation of skin. Swollen inflamed pimples can be reduced by gently dabbing rose water on the affected area. What’s more – acne scars can be diminished and gotten rid of by making and applying a mixture of sandalwood, lemon juice and rose water on them.